Founded in 1997, Litchfield Jazz Camp serves about 300 residential and day students during a month-long program on the campus of The Gunnery School in Washington, Connecticut. Run by Litchfield Performing Arts (estb. 1981), a charitable organization dedicated to changing lives through music, the Camp’s philosophy is simple. We start with a faculty of amazing and inspiring jazz musicians who represent the best jazz players/educators on the scene today. To that we add eager music students in a non-competitive, all-inclusive program. No audition is required; just a desire to attend and make music. 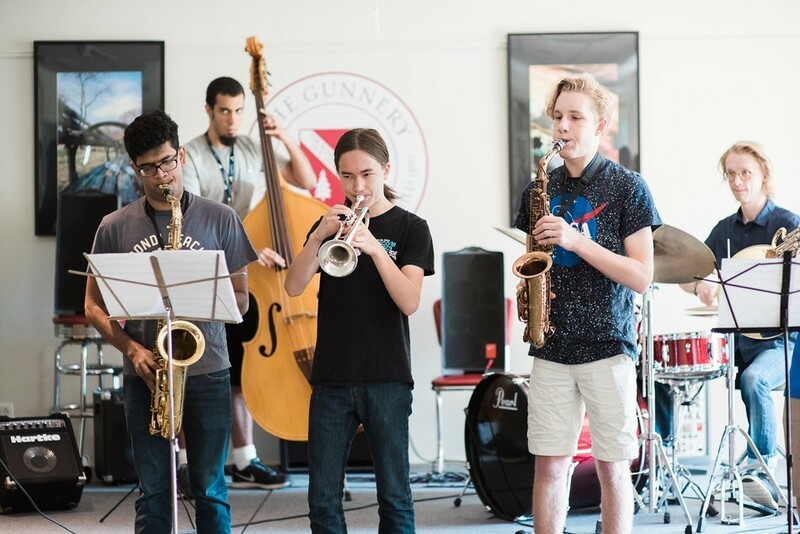 Litchfield Jazz Camp embraces all learners: students of all ages from 13 years up– beginners, intermediate learners, advanced players, students with learning disabilities. That is how the collaborative, supportive and fun atmosphere at Litchfield Jazz Camp is created. Students enjoy lots of listening and performance opportunities at Litchfield Jazz Camp. They attend Faculty concerts and jams nightly, and student combo concerts wrap up each week. At the end of week 4, is the world renowned Litchfield Jazz Festival. There campers hear festival stars in a private concert just for them on Friday night, perform themselves at the free Outer Festival on Saturday, and meet artists in person during artist talks and master classes. This makes for a thrilling culmination to one of the most exciting music education experiences available anywhere. Understanding the whole person is the ultimate point of any right- thinking program, health and stamina are encouraged with optional sports in the afternoons. Most students are college-bound, and to support that the camp holds at college night each season with representatives of a wide array of university level music programs. This group includes scouts who often offer our need-scholarship students opportunities at their schools. For more information, please visit the Litchfield Jazz Camp website.